Thinking about where to travel, what to see in 2015? New destinations? New adventures? On the search I read the through the Los Angeles Time “Forecast for Travelers.” It told me that airfares aren’t likely to come down, hotels may be increasingly family friendly, that a rental car may cost more and that I won’t be able to add pages to my (US) passport after 2015. Useful predictions. Except for the passport piece, not surprising. But I was surprised to read that 2015 may be The Year of the Cat - Not the Chinese zodiac calendar animal of the year but the little four legged furry feline, the one that is a popular pet with estimates of over 100 million kept as pets worldwide. Away form home and wishing for a little cuddle with a kitty? Something to reduce the stress of the new place? 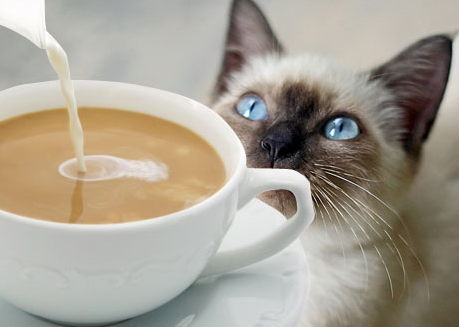 – look for a café that will offer coffee and a few minutes visiting with a cat. Japan, New York, Paris, Vilnius, Madrid and Singapore (catcafe.com.sg) all are mentioned. Looking for others – check the article http://www.cnbc.com/id/101199175#) posted by CNBC. You’ll find cafes and cats in Germany, Vienna, the UK and Budapest. Will this new trend reach your city?